When Pope Francis received the Charlemagne Prize in 2016, he made an appeal to restore the lost – or maybe never fully recognized – ‘soul’ of Europe through a new European humanism. 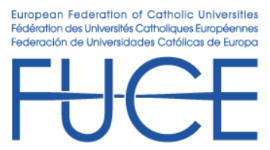 This inspired the European Federation of Catholic Universities to develop an interdisciplinary study programme entitled European Humanism in the Making. It wants to address the Pope’s question “What happened to humanist Europe, the defender of human rights, democracy and freedom?” and take it further to tap into historical roots as bearers of future prospects for the European project. One of the most important intellectual tasks of the present is the development of a new kind of humanism. Current global conflicts in politics, economics, culture and religion call out for defining and strengthening a global culture of values and humanity. Fundamentalism and terrorism, as well as hunger, poverty and misery in many parts of the world provide evidence for this necessity. Globalization demands new cultural and educational orientations. There is a need to define the underlying values and norms. This requires a reflection on what it means to be a human being in all its diverseness and changeability. The liberal-democratic understanding of the nation appeared to guarantee civic and political citizenship, but the debate around the social question indicates the search for a yet unattained social citizenship. There was a widespread belief that the social question had been solved within the framework of the welfare state, but today the social question seems to come back. The connection between humanism and autonomy, based on a set of human rights, needs to be balanced by human duties and commitments, a thematization of social solidarity and social responsibility. There is a renewed debate as to which ethical approach can lay a true foundation for global justice. The ongoing processes of economic and cultural globalization challenge the disciplines of ethics, social and political philosophy and philosophy of law. New analytical concepts have to be brought forward for a suitable understanding of world-society, sovereignty, political institutions and legal opportunities and of globalization itself. In addition to the critical analysis of existing world orders and the emergence of new analytical models, new normative questions arise. They relate to a peaceful, just and sustainable co-existence of human beings: what kind of ethical approach is best suited for the formulation of a solid and shared basis for a just and sustainable world order? Today, in Europe, we are in need of a concept of historical consciousness not restricted to the hermeneutic achievements of scholars but integrating the concept of enactment of civil virtues. The dilemma of Western rationalization and its helplessness to come to terms with global justice will not be overcome by intellectual endeavour alone. What will be needed too is moral imagination. How to reinterpret the values that underpin European humanism? How relevant is European humanism in a globalized world and how may it apply to current society? How can European humanism contribute to current issues of governance, citizenship, prosperity, solidarity and human development? 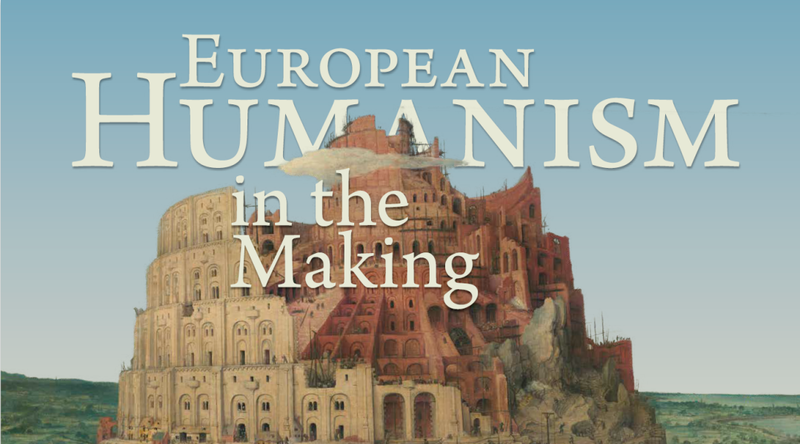 How do we study European humanism and how to apply it in higher education? European Humanism in the Making: Hope for the Future? 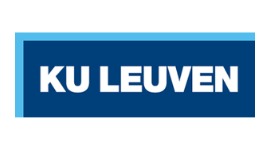 is associate professor at the Public Governance Institute of the Faculty of Social Sciences, KU Leuven. Trained in philosophy and political science, he is a broadly oriented political scientist, mainly focusing on comparative and EU politics but with a strong interest in political history and multidisciplinary research. 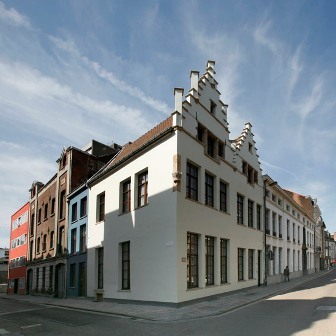 At the KU Leuven, he is also president of KADOC (Documentation and Research Centre on Religion, Culture and Society), of the Wilfried Martens Fund and the Metaforum working group ‘Futuring Europe’. Previously, he was a member of the research group ACIM (Antwerp Centre for Institutions and Multilevel Politics) at the Departement of Political Science of the University of Antwerp. His main topics of research are: EU institutions, transnational party politics (Europarties), and European integration history. is university professor at UvA. 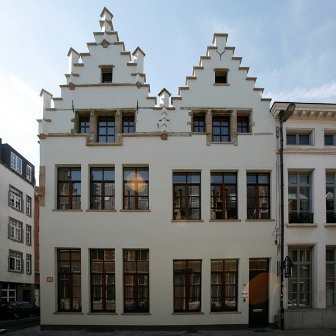 He also teaches at the University of Antwerp (UA), where he holds the chair ‘Herman Deleeck’. His research focuses on the impact of the EU on the development of social and employment policies in the EU member states. Frank Vandenbroucke studied economics in Leuven and Cambridge, UK, and received his PhD in Oxford. He was Minister for Social Security, Health Insurance, Pensions and Employment in the Belgian Federal Government (1999-2004) and Minister of Education and Employment in the Flemish Regional Government (2004-2009). Vandenbroucke was closely involved in the launching of the EU’s Lisbon Strategy in 2000, notably in the development of its social dimension. He is first editor of A European Social Union after the Crisis, Cambridge University Press, 2018.
is Minister of State, former Prime Minister of Belgium and first President of the European Council. A politician from Belgium’s Christian Democratic and Flemish party, Van Rompuy served as the 49th prime minister of Belgium from 30 December 2008 until Yves Leterme (who was also his predecessor) succeeded him on 25 November 2009. On 19 November 2009 Van Rompuy was selected by the members of the European Council, which is the institution of the European Union (EU) comprising the heads of state or government of the EU member states, as the first full-time president of that council under the Treaty of Lisbon. He was appointed for the period from 1 December 2009 until 31 May 2012, though he only took up his position officially on 1 January 2010. On 1 March 2012 he was re-elected for a second term, from 1 June 2012 until 30 November 2014. Service-learning (also known as community service learning, community based learning, etc.) is an educational approach in which the central concepts are ‘serving’, ‘reflecting’ and ‘learning’. Students serve society by engaging themselves to a specific community. Meanwhile, they reflect in a structured and critical way on their experiences. In this way, they learn on an academic, civic, and personal level. Service-learning supports the development of students as ‘whole persons’ who have not only acquired academic skills, but also social and personal competences. Furthermore, service-learning helps them to become responsible and critical citizens. The development of new service-learning courses. The transformation of existing courses into a service-learning course. Each year, the service-learning team launches a call for proposals for new service-learning courses. Selected projects receive pedagogical support (course development, professionalization and training, etc., monitoring and evaluation of projects) and logistic support (contact with social partners, contracts, insurances, etc.). The service-learning team also actively supports the development of service-learning community and network in which information, experiences and good practices can be shared. Do you want to attend? Please register below! Sorry, it is no longer possible to register for this event. Sorry, de inschrijvingen voor dit evenement zijn afgesloten.